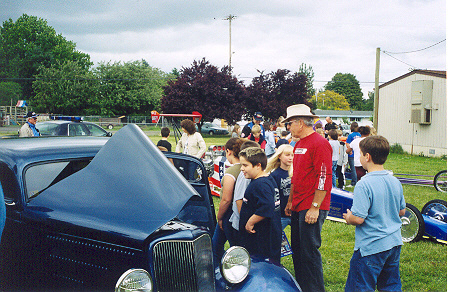 5/21/04 at Cummings elementary school. 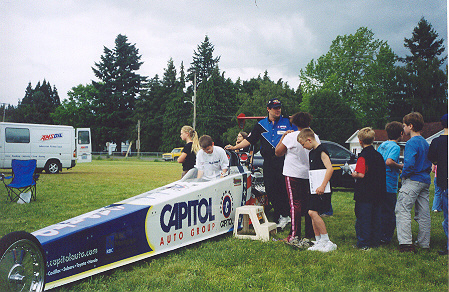 Rich Bailey, driver of the Capitol Auto Group racing team coordinated the event in memory of Codi. 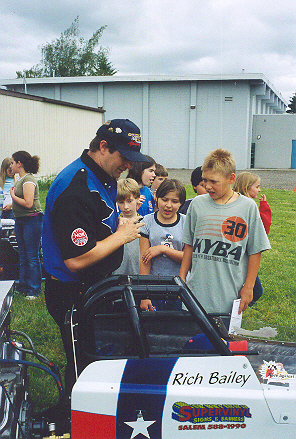 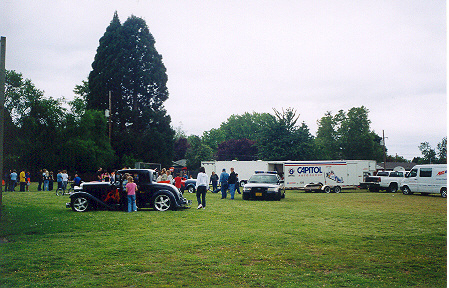 A number of racers and a member of the Oregon state police delivered the race against drugs program to an energetic audience. 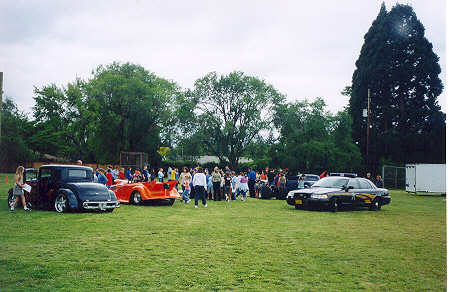 An anti-drug poster contest was held and cool prizes were awarded including remote control race cars, racing jackets, caps, etc. 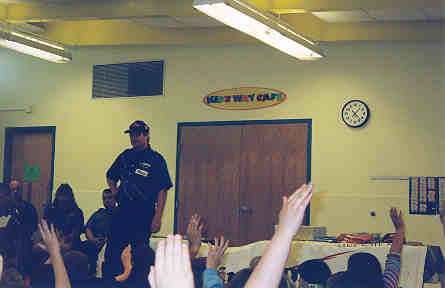 The kids were in awe and obviously hanging on every word - a huge success. 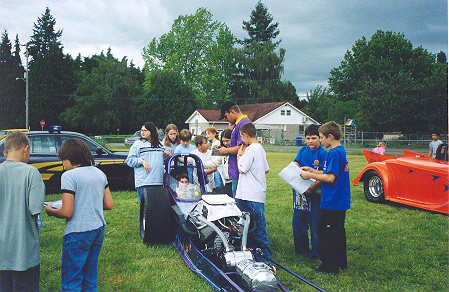 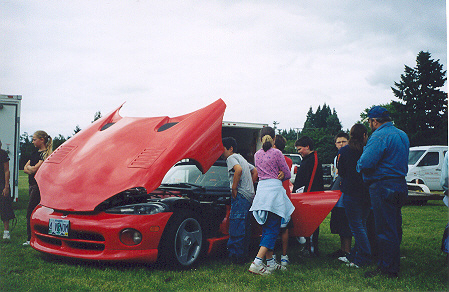 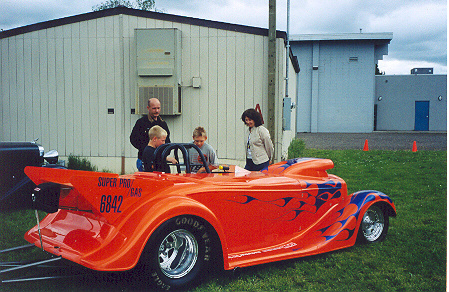 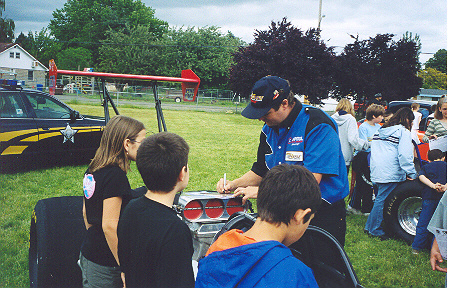 this race against drugs event at Cummings elementary school was mentioned in National Dragster Magazine.